Don’t let your passion fizzle out with the overwhelming job of setting up a business. Your business can be ready to launch online in just 12 weeks when you choose the Skype coaching option, or two days, when you choose the face to face 2 day intensive in the Victorian goldfields! – from your ABN to all your online marketing set up – done! Owning a business is hard work, but it’s also empowering and extremely rewarding. Your business is your own. Something you can share with the world and say, that’s mine – I did that. If your idea for a business has lit a fire in your belly, it’s time to take action. The Start Me Up! program is designed for passionate women would-be entrepreneurs who want an experienced adviser helping them avoid the pitfalls of starting a business, stay focussed and find the right professionals to liaise with. Setting up an online business in Australia has never been easier, but it can be confusing. You can get a lot of free advice from professor Google, but all the new information can be overwhelming and it’s never all in the one place. If you’ve never started a business before, it’s very easy to get discouraged by the complexity of it all. It took me three years to work out the purpose of my business, to set it up and build it online. It was only when I got a mentor to lead me through the process that it all came together. And that’s exactly what I’m offering you. Me – as your adviser, your coach and your trainer to help you avoid common mistakes and get your business launch-ready in just 12 weeks or even 2 days if you choose the two-day intensive option. If you choose the two-day intensive program, we will do all this together while we’re cloistered away in a Goldfields resort, plus a series of follow up Skype training sessions. I’ll help you get clarity around your business vision, goals and objectives. Together, we’ll develop and document your ideal client, your products and services and how you add unique value. These are all fundamental marketing concepts that can make or break your success. I will guide you through the process of registering your business including your Australian Business Number (ABN), your business trading name and Goods and Services Tax (GST) registration (if applicable). During our twelve weeks together, I’ll help you create a business plan and a marketing plan. These two documents put your vision on paper and keep you focused on tasks that will grow your business. I’ll register your website www address (domain name) and your hosting account. I’ll guide you through the process of working with a graphic designer for professional looking branding across your website and social media pages. Installation of my recommended plug-ins for security, maintenance and SEO. A blog – ready for your wisdom. Three blank additional pages of your choice, ready for your content. Integration with your Mailchimp email marketing. Formatting of your website copy to best help your would-be clients. I’ll set up your Facebook and Twitter social media pages with branded cover images designed around your branding. These profiles will make it easy and appealing for people to find you and more importantly, start talking to you. As part of your website and social media design, your graphic designer will create some easy to use branded graphics including your logo, Facebook cover image and Twitter header image. All relevant registrations taken care of. A beautifully designed, SEO friendly website. Secure hosting for one year plus your own website domain name. Branded Facebook and Twitter pages set up and ready to use. Working email marketing sign-ups so you can start building your database. Some great ideas about an incentive you can offer to join your email database. A media release – written by me – to announce your launch to the world! Not to mention a business plan and marketing plan that will guide you through your first year, and beyond. Download Start Me Up – Detailed Program to see what we’ll cover, week by week. Use WordPress so you can maintain the content on your website. Use Facebook and Twitter as part of your social media marketing. Use Mailchimp to create enticing email marketing campaigns. Write a business plan and use it to grow your business. Write a marketing plan to maintain your brand exposure. And all for just $1975! Thinking about your cash flow from day 1 is smart so I also offer three monthly payments of $670. If you choose the two-day intensive option, some of the training will take place via Skype after our two days together, at a time that suits you. The cost for the two-day intensive is $2998, to cover all meals and accommodation, plus the addition of having me all to yourself for two days! Just imagine, creating your own online business and having the know how to make it a success in just 12 weeks or, even better, two days! This process is all about taking action and my role is keep you focussed, motivated and working through your action plan. It will be a busy program, but with passion and the right attitude, you will get through it all. When you sign up for the Start Me Up! program you’ll get a copy of my ebook: “How to Start An Online Business in Australia” with step by step instructions for starting a small business in Australia. This acts as a workbook and checklist for each stage of our work together. 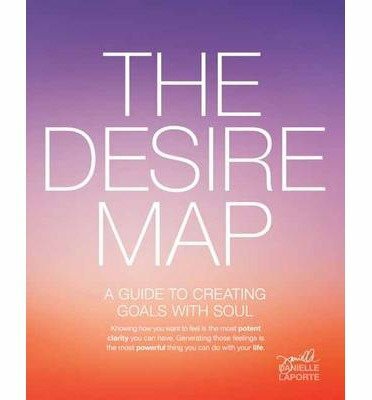 You will also get a hard copy of Danielle LaPorte’s The Desire Map, valued at $32.20. This book will help you set your goals based on your feelings rather than money and other logistical measures. It’s perfect for creative people and an ideal read when you’re starting out in business. To make sure we don’t waste each other’s time and that you’re committed to setting up your online business, I’d like to offer you a free 30-minute Laser Focus to discuss your business goals and what’s been stopping you from getting started. If you’re excited to get started, use this link to book your free session. If you're ready now, let's get started with the 12 week program now. If you're ready to book in a two day intensive today, let's do it! Dorothy didn’t expect to ever be running her own business when she started a career in the Victorian Public Service, but after 15 plus years in the service and a stint as a stay-at-home-mum, she knew she couldn’t go back on the corporate treadmill. Instead, she moved from Melbourne to Ballarat and started the first of several businesses, helping mums in business grow and connect with each other, applying her experience as a corporate coach and trainer to local micro-businesses. Her expertise lies in digital marketing, that is doing all things online and getting a business going from the mere inkling of an idea to a fully working and money earning enterprise. Dorothy is unique in her ability to both see the big picture for your business and pay attention to all the details that need to be taken care of to make it happen. She has helped dozens of women with their digital marketing and moving their businesses forward and she will help you, too.